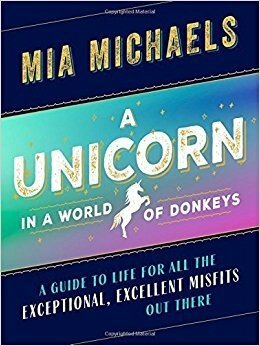 Dance Magazine let me combine my inner book and dance nerds for an article about Mia Michaels’ book, A Unicorn in a World of Donkeys: A Guide to Life for all the Exceptional, Excellent Misfits Out There. It was a joy and privilege to interview Mia, although I was skeptical of a “practical guide” for creativity at first. But after reading her new (and first!) book, I do feel like I’ll be better able to access my unicorn side. As Mia said in my interview, doing so is imperative for artists. My recommendation? Scroll to the bottom of Dance Magazine article for Mia’s own reading recommendation at the end. Also, just read her book, but not all in one sitting.